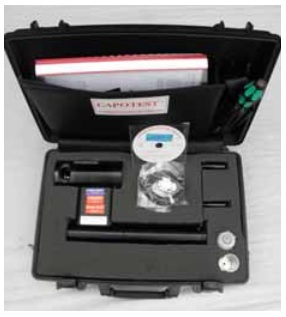 The CAPO-TEST permits performing pullout tests on existing structures without the need of pre-installed inserts as in the LOK-TEST. 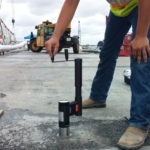 CAPO-TEST provides a pullout test system similar to the LOK-TEST system for accurate on-site estimates of compressive strength of the outer 25 mm layer. 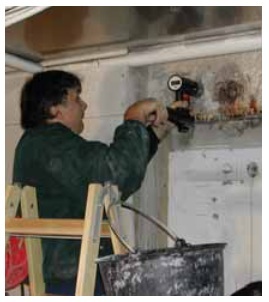 Procedures for performing post-installed pullout tests, such as CAPO-TEST, are included in ASTM C900 and EN 12504-3. 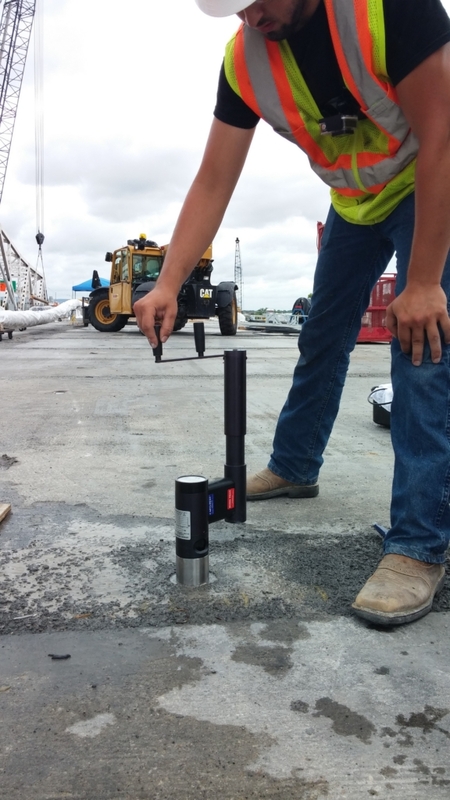 When selecting the location for a CAPO-TEST, ensure that reinforcing bars are not within the failure region. 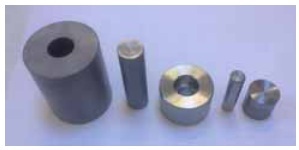 A center hole 18.4 mm in diameter is cored to a depth of 65 mm. The surface is ground plane with a diamond planner. 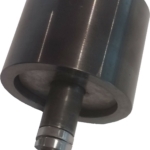 A recess (slot) is routed in the hole to a diameter of 25 mm and at a depth of 25 mm. 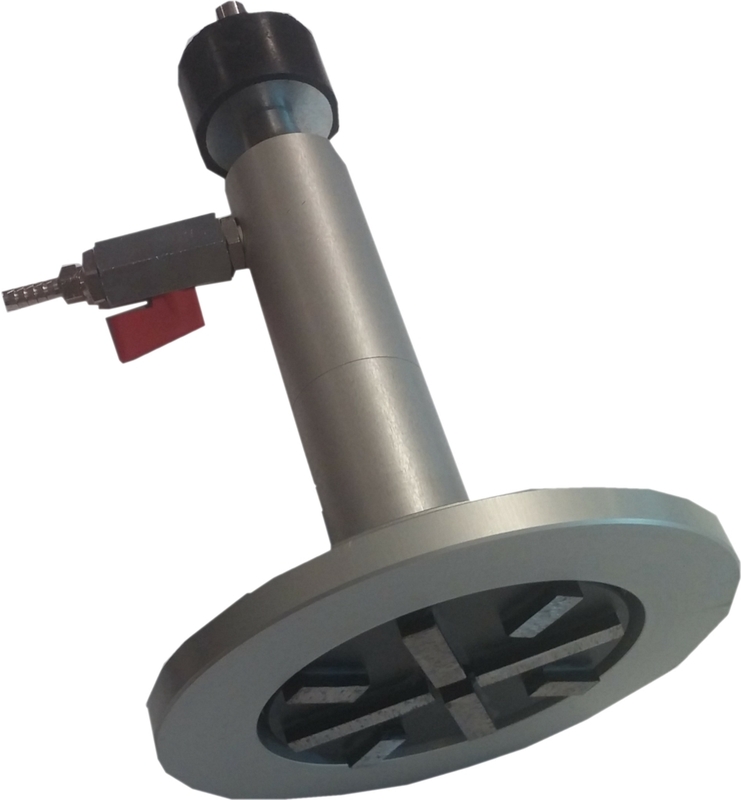 A split ring is expanded in the recess and pulled out using a pull machine reacting against a 55 mm diameter counter pressure ring. 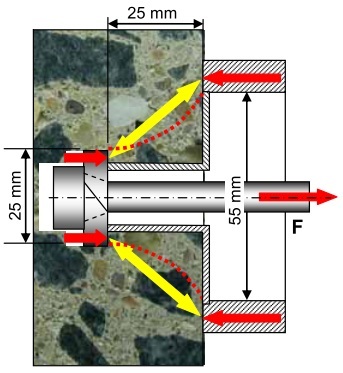 As in the LOK-TEST, the concrete in the strut between the expanded ring and the counter pressure ring is in compression. 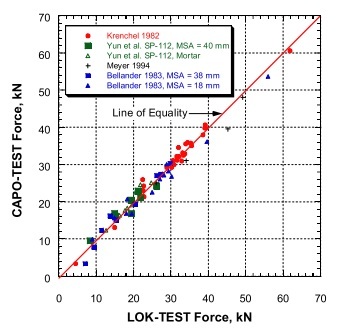 Hence, the ultimate pullout force F is related directly to compressive strength. 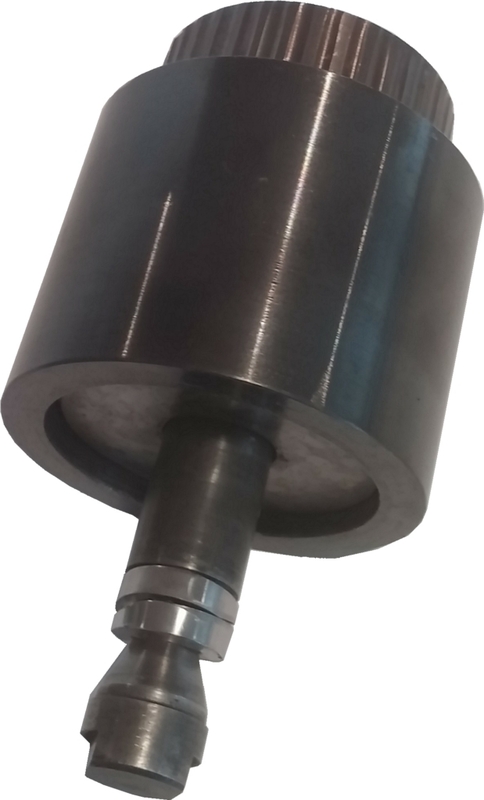 The test is performed until the conic frustum between the expanded ring and the inner diameter of the counter pressure is dislodged. Thus there is minor surface damage, which should be repaired for aesthetic reasons or to avoid potential durability problems. 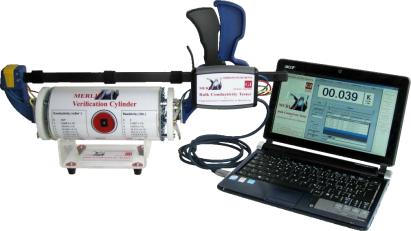 The CAPO-TEST kit includes C-101 Preparation Kit, the C-102 DSV-Kit, and a C-104 pull machine kit with the 0 to 100 kN digital gauge. 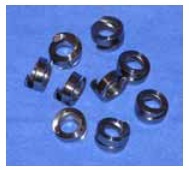 Separately delivered are the C-112 CAPO-TEST inserts (expandable rings), one for each test. This kit is used to drill the center hole, to plan the surface and to cut the recess to accommodate the expandable insert. The kit also contains the unit for expanding the CAPO-TEST insert and other miscellaneous tools for conducting the test. 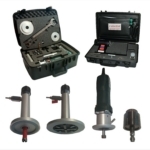 As an alternative to use the preparation kit tools handheld (for the coring, the planning and recess routing) the C-102 DSV-Kit can be used, ensuring the three steps are performed as specified. 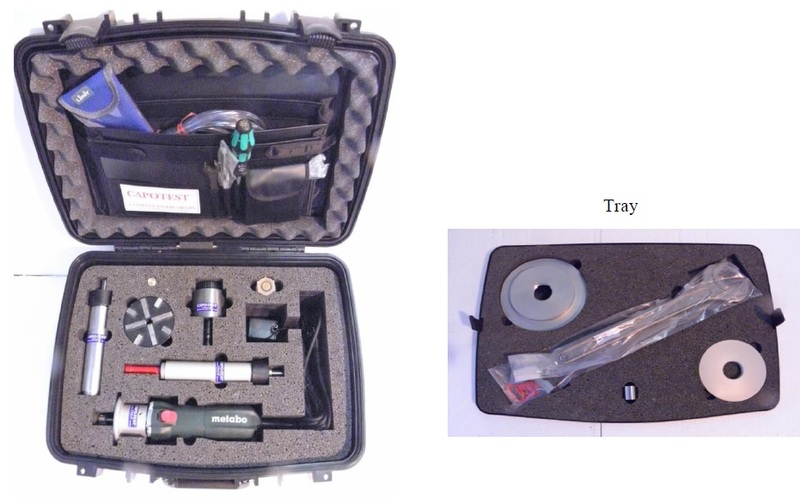 The kit includes a suction plate with adjustable pliers and a vacuum pump. 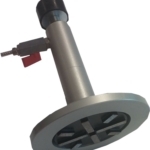 For testing the suction plate is connected to the vacuum pump. 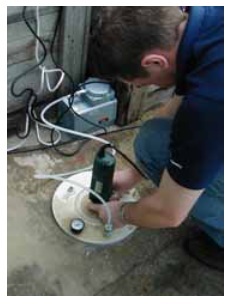 Pressing the suction plate against the concrete surface will activate the vacuum. 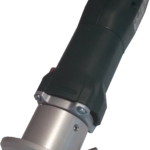 The two blue adjustable pliers are secured to the suction plate. 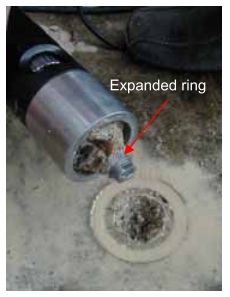 First, the center coring is performed with the flange of the diamond C-101-3 drill unit clamped to the suction plate, followed by surface planning using the C-102-1 Diamond Planner, also clamped to the suction plate. Finally, the recess routing is performed in the correct 25 mm depth with the router flange circumference following the inner circumference of the suction plate. 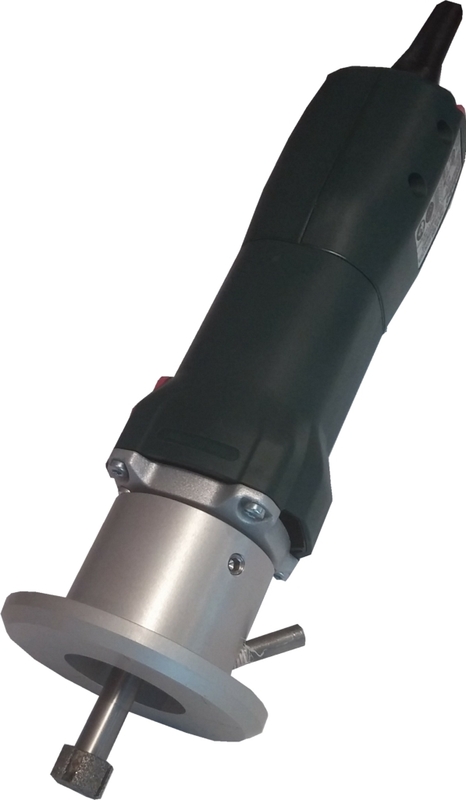 The hydraulic pull machine has a calibrated 0 to100 kN precision electronic gauge with memory for storage of test results (peak-value, time and date of testing). The peak-value is shown on the digital display after a test has been terminated. 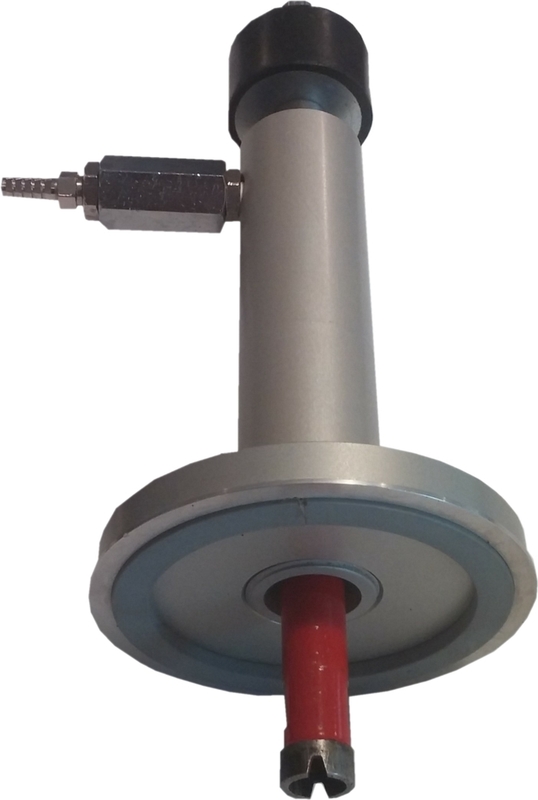 The internal resolution of the gauge is 0.01 kN, but the pull force is displayed to the nearest 0.1 kN. 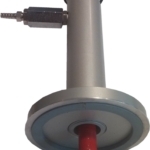 The same pull machine can be used for the BOND TEST and the LOK-TEST.